Prioritize which project you wish to begin by considering your money and time commitments. 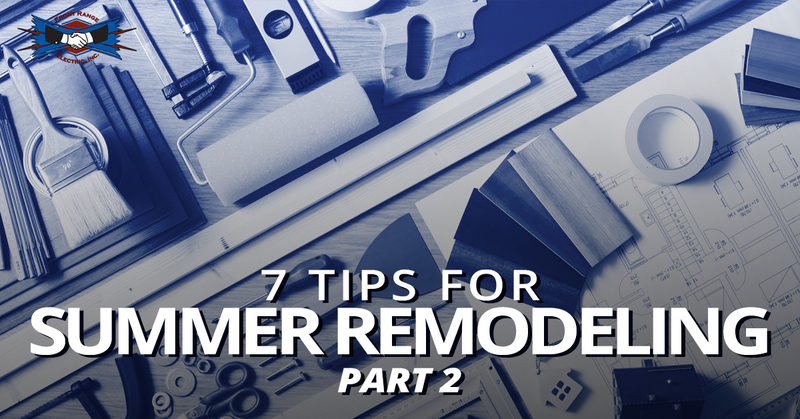 This week we will finish up this blog series with our last suggestions for beginning your remodeling project. And as always, we at Front Range Electric pride ourselves in being the Top Rated Local® local electrician for Colorado Springs. To learn more about us, visit our website. Another part of the pre-planning process of a remodeling is to research the effects of your remodel on the value of your home. If this is not a consideration for you, then you can move on to the next step. But if there is a chance that you may want to eventually sell your home, think about how your remodel could either add or detract from the value of your home. Most likely, it will have no effect or will add value. Be sure to do your research so you can enjoy your remodeled home knowing that you are also making a future investment. After you’ve decided what kind of project that you want to undertake first, make a list of all the materials and tools that you will need so you can begin to see how much you will have to spend on your remodeling project, as well as what you need to complete your project. Once you know all that you need and the money that is required to purchase your items, you can move forward in the remodeling process. With some projects, you may be able to complete without a schedule of events, but the logistics required to complete others may need conscious planning and coordination. If your project requires help from a contractor or if you may need to pause your remodeling for a family vacation, make a plan as to when you are going to complete your projects so that you don’t have any exposed wiring or painful inconveniences to deal with. The next step is to get started on your remodeling which can be the hardest part about beginning these type of projects. Once you have completed all the preliminary steps, start by purchasing the tools you will need—or at least those that you need at the start of your project—and get your supplies. If you aren’t the handy-type, it’s time to find a local Colorado Springs contractor to for your remodeling project. If you want to remodel your home and you have all that you need to complete it successfully, why wait? Get started today to have the home of your dreams. Will your remodel require you to change your electrical system? Contact the local electricians of Front Range Electric. We can help you not only ensure that your system is safe, but also help you have the most efficient system and one that meets building code requirements. Visit our website to learn more about us and to schedule a free consultation!